Shedding fresh light on modern art beyond the West, this text introduces readers to artists, art movements, debates and theoretical positions of the modern era that continue to shape contemporary art worldwide. 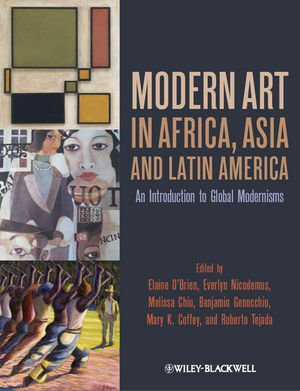 Area histories of modern art are repositioned and interconnected towards a global art historiography. Includes a selection of major essays and historical documents addressing not only painting and sculpture but photography, film and architecture as well. Elaine O’Brien is a Professor of Modern & Contemporary Art at California State University, Sacramento. Everlyn Nicodemus is an artist and writer living and working in Edinburgh, UK, and holds a Ph.D. from Middlesex University, London. Melissa Chiu is Museum Director and Vice President, Global Art Programs, Asia Society in New York. Benjamin Genocchio is editor in chief of Art & Auction Magazine, New York. He holds a Ph.D. in art history and is the author and editor of six books. Roberto Tejada is Distinguished Chair and Professor of Art History, Southern Methodist University. Ni Yide, Pang Xunqin , et al.